Five minutes ago I received from Jean BabelonJean Babelon (1889–1978), a French librarian, historian, and numismatist at the Cabinet des Médailles, Paris, where he became deputy curator in 1924 and then director in 1937 and 1961. (Cab. des Médailles) the enclosed photo,The location of this photograph, if still extant, is not known. which Babelon tells me is in the hands of a dealer in Paris. He doesn’t say how much they want. He doesn’t seem to know that this dish is the StroganoffCount Grigorij Sergeevich Stroganoff (1829–1910), a connoisseur and collector of paintings and objects of many cultures. Stroganoff had homes in Rome, Paris, and Saint Petersburg. 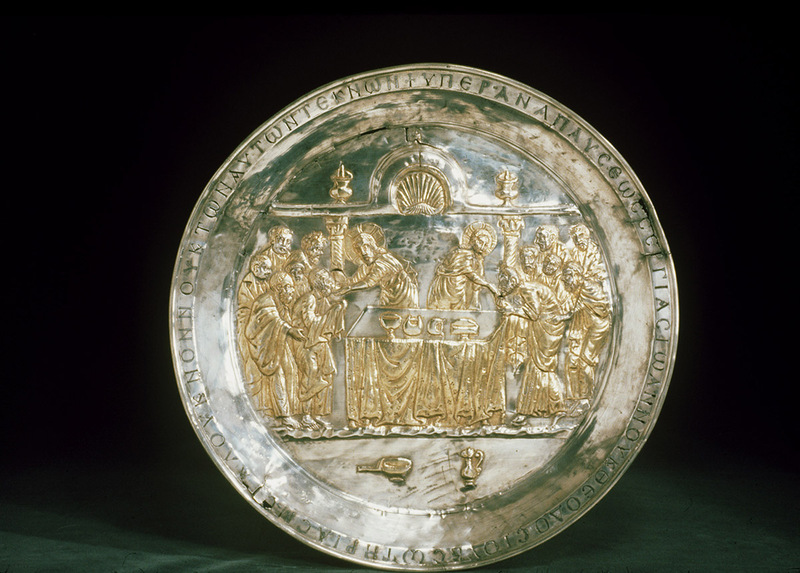 dish, well known to students, and a most marvellously beautiful object. This thing you certainly ought to buy, if it stirs you as I think it will. Please wire me if you want it en principe. I’ll let you know as soon as I can get a line on the price, which won’t be a small one. Hayford and I both think it would be cheap at 200,000 francs. Having it and the Riha paten, you would possess the two capital pieces of Christian plate of the early Byz. ages.See letter of January 26, 1924, for Royall Tyler's assessment of the paten. No one really knows the date of the Strog. dish, certain points make us suspect it may be of the Vlllth, though the first impression is Vlth. Much love to you both, dearest Mildred. Of course Hayford or I or both will see the object soon.